Contrast agent tested SAE. Contains no solvents and is harmless to air conditioning systems as well as service stations. With dosing device. Compatible with all service stations according to SAE J2297 standard. 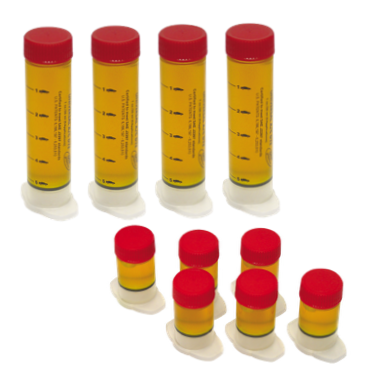 For all lubricants based on PAG, PAO, POE, and mineral oils. SAE tested contrast agent containing eBoost air conditioning additives. 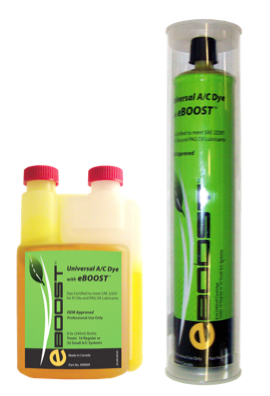 EBoost additives regenerate the compressor oil. 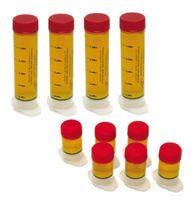 SAE tested contrast agent for the Junior injection set. For manual insertion into the system after service (air conditioning filled). To be introduced through the low pressure port with the compressor running. For all lubricants based on PAG, PAO, POE, and mineral oils. 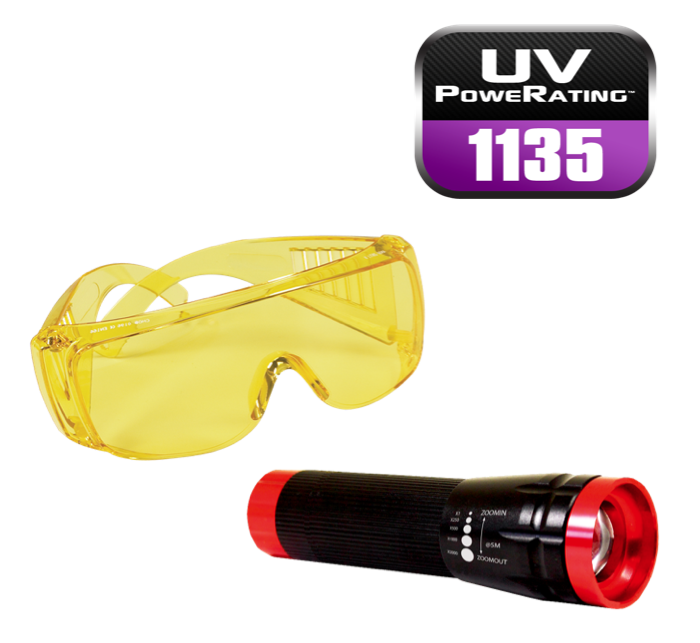 The UV leak detector with high-performance illuminant. 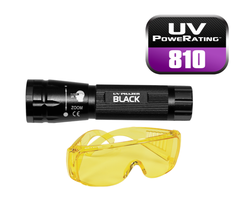 Outperforms all comparable UV LED lamps. 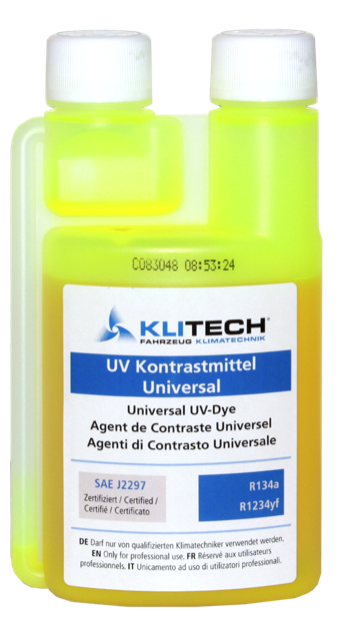 The light waves are specially tuned to dilute UV contrast agent and thereby improve the overall performance. 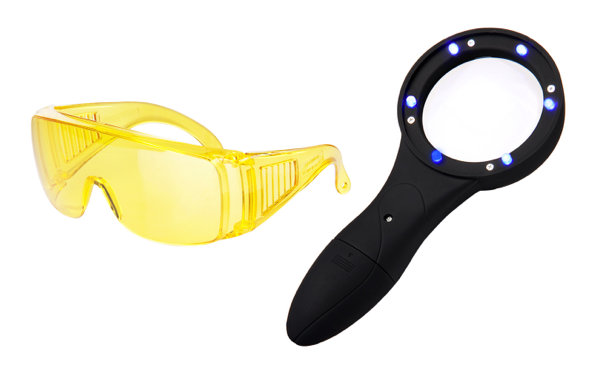 Scope of delivery: UV lamp Phazer Neo, UV protection glasses, USB charging cable lamp of high quality. Latest generation UV lamp with LED chip with a power of 810. Eloxed hardened aluminum finish. With manual zoom. UV lamp with magnifying glass integrated to facilitate the search for leaks.